On May 15th 2016, I left Finland for a 2-year trip around the world. Here’s a summary of all that’s happened on my first 365 days on the road. 365 days! It’s been exactly a year since I started my trip around the world. One year is a long time, and sometimes I feel like I’ve been on the road for even longer. Traveling has become a permanent state. The anniversary marks a good time to look back at my first 365 days on the road, so I’ve written this post as a summary of my route. If you’ve only recently found my blog, this is a good place to check what I’ve done so far. Before anything else, I want to thank everyone who’s been a part of this journey so far. It’s been a beautiful year, and I’m curious to see what the second year of my RTW trip has to offer! I’ve traveled a lot in Europe, but I’ve mostly focused on the Western side. This time, I decided to travel overland from Finland to Turkey and explore Eastern and Central Europe along the way. My only photo from Tallinn, Estonia. Oops. A quick first stop. 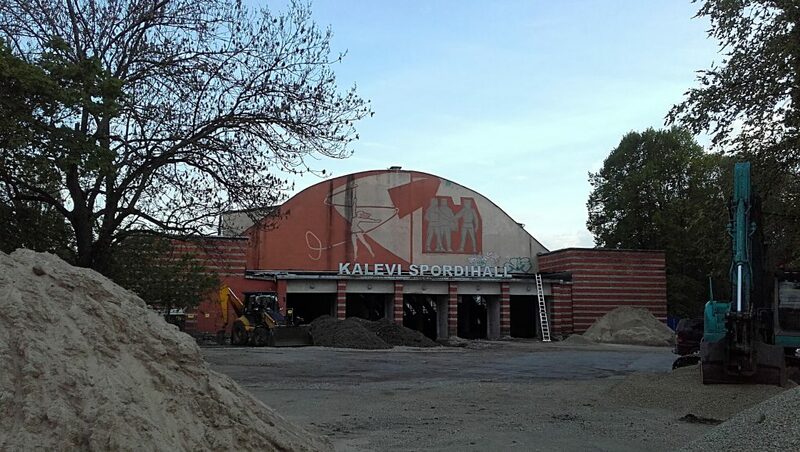 I stayed in Tallinn for one night before taking a bus south through the country. My airbnb stay was quite interesting, as another quest in the house had a very different life than my own. Hearing him talk about gurus that can see in the future and nuclear weapons developed in ancient India reminded me why I love traveling. How Many Jesuses Can you Fit on a Hill? 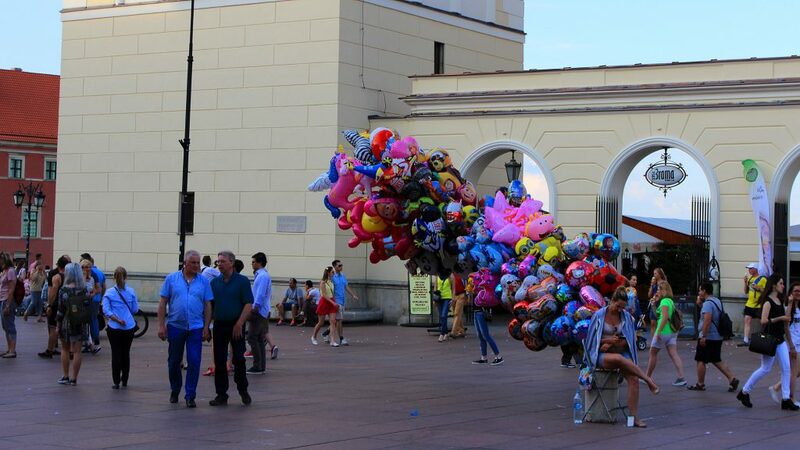 Lithuania was a very interesting destination. 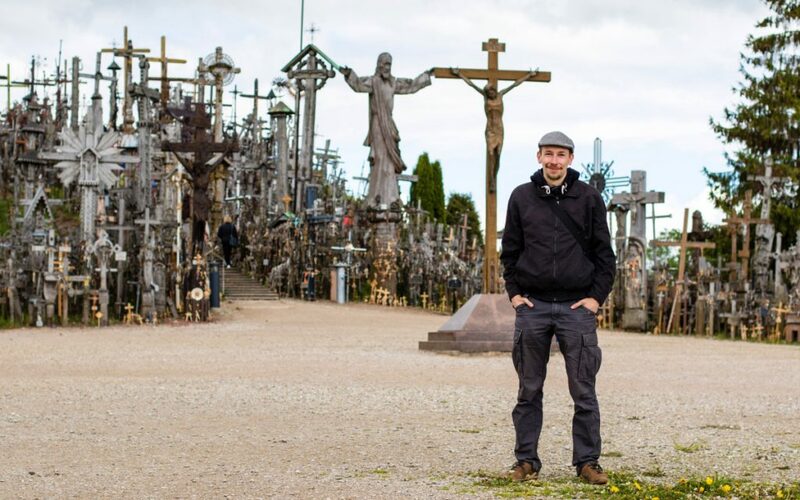 I knew very little about the country in advance, so I was positively surprised by the beautiful sights like the Hill of Crosses and the Curonian Spit. I also had awesome CouchSurfing hosts, who made me feel very welcome in their country. 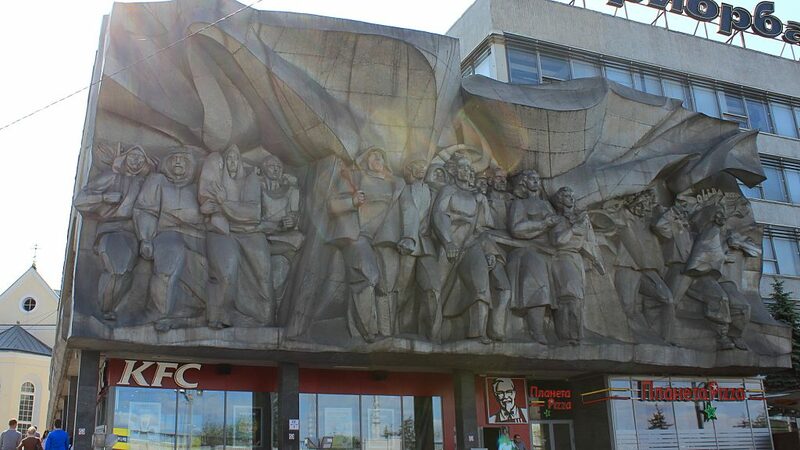 Communism and capitalism meet in Minsk, Belarus. I speak only little Russian, which was a bit of a challenge in Belarus. Very few locals spoke good English, so the language barrier made it a bit harder to get connected with local people. Still, I found my stay quite interesting. Despite its isolation, the cities of Belarus were more modern and international than I had expected. I’ve had many happy reunions during this tour. The first one happened in Warsaw, Poland, where I met my friend Ludmila. We had not seen in each other in over six years – it’s wonderful how Facebook can keep people connected despite the distance. Besides my stay in Warsaw, I had a great (albeit brief) CouchSurfing stay in Wrocław with my hosts Kajetan and Agnieszka. While I was traveling through Europe, I mostly stayed with CouchSurfing hosts. It’s fairly easy to find hosts in Europe, and back then I still planned enough of my trip to know where I was going. Once again, I had great hosts in Prague, Czech Republic. 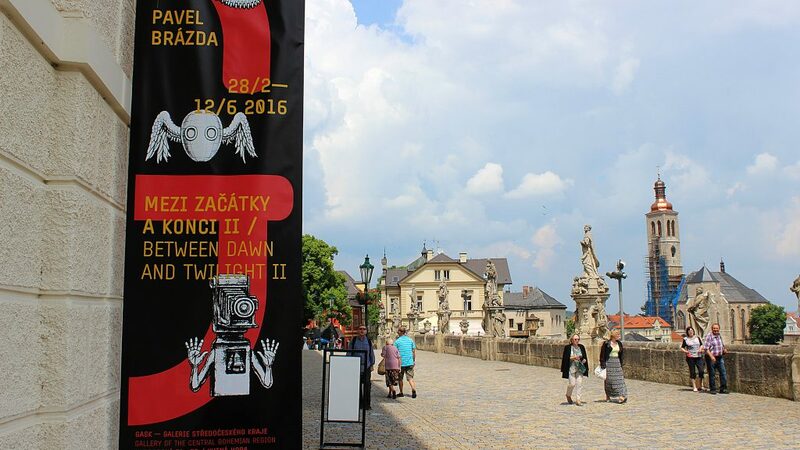 The old town of Prague was quite filled with tourists, but I was very impressed by Kutná Hora, a smaller but just-as-beautiful town nearby. 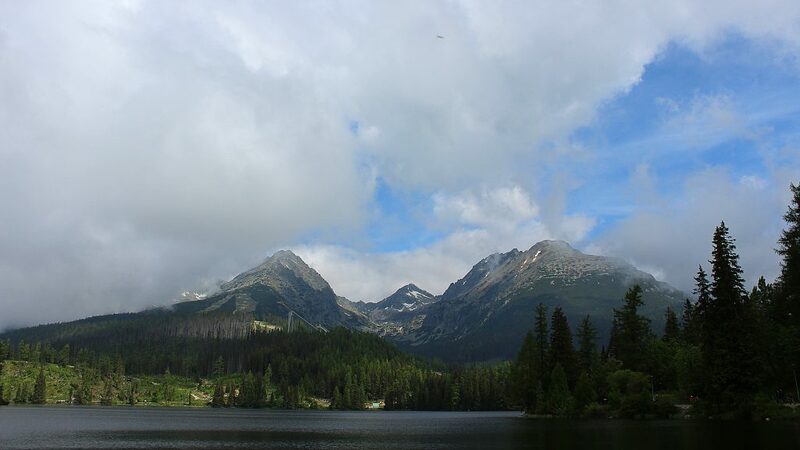 When I’ve been asked about my favourite destinations so far, I usually mention Slovakia as my best stop in Europe. I met amazing people and had some great, unique experiences. The hiking paths of Slovak Paradise National Park were very interesting, and I really liked the outdoor art event Imaginácie I happened to witness in Košice. The highlight of my stay in Ukraine was a day tour to Chernobyl and Pripyat. Even better, the trip was also a reunion of our North Korea tour group from summer 2015. 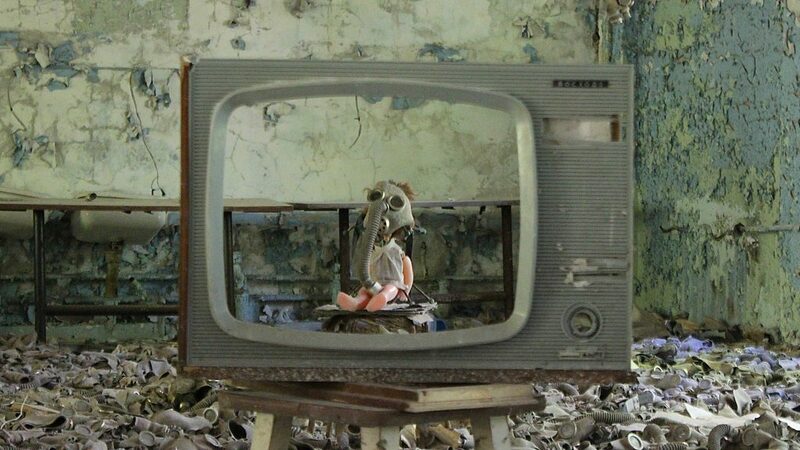 Visiting Chernobyl isn’t as extreme as many people think, but still, exploring the abandoned buildings of Pripyat was an interesting and memorable experience. 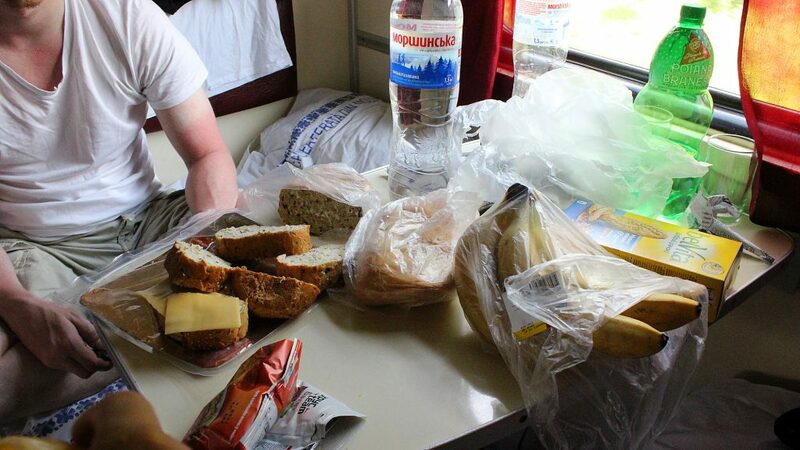 Preparing a meal on a train in Moldova. 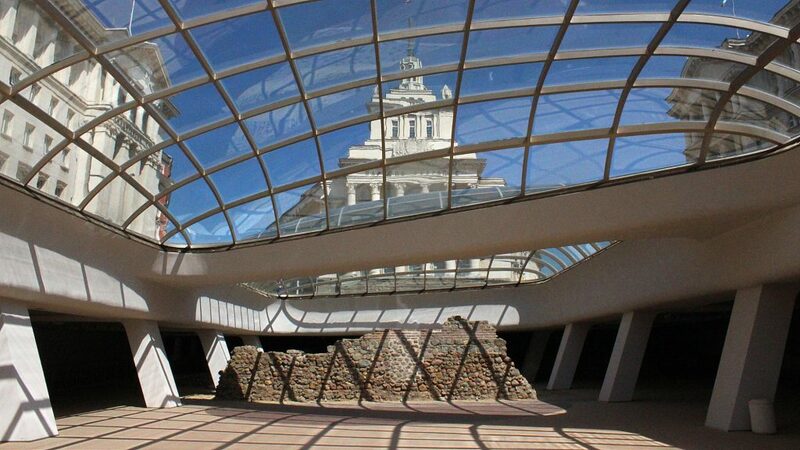 With only 11,000 visitors a year, Moldova is the least visited country in Europe. This become quite obvious to me and my Finnish friends Aleksi and Petri, as we saw very few tourists on our 2-day trip to the capital Chişinău. There seemed to be more casinos than visitors in the city center. Remains of a Roman city in Sofia, Bulgaria. I wasn’t planning to stay in Bulgaria, but the terrorist attack of Atatürk Airport, Turkey, on June 28th changed my plans. Instead of booking a night train to Istanbul as I had intended, I decided to spend a few days in Sofia instead. A brief stop, but I liked to walk around in the beautiful city. 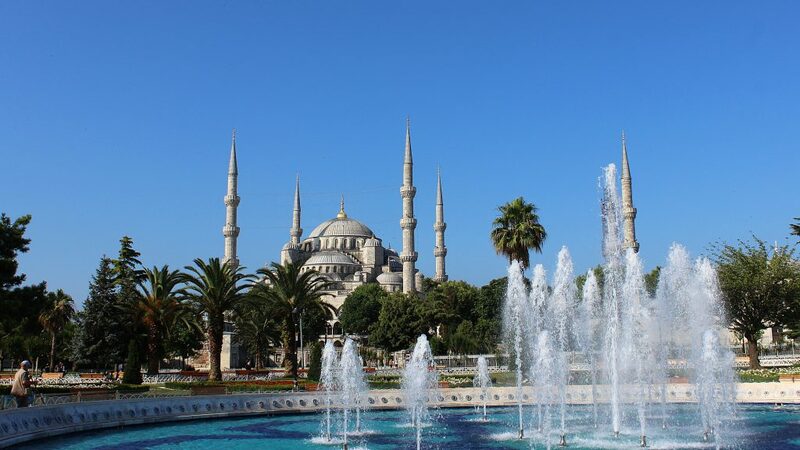 Still, I had to go to to Turkey, as I had booked my flight from Atatürk airport to Iran for July 3rd. I arrived in the city early in the morning and my hotel didn’t let me check in early, so I had lots of time to explore the European side of the city. Beautiful buildings, few tourists, lots of cats and policemen. In my head, I divide my trip around the world into separate phases. The quick journey through Europe was the first phase. The next part was shorter, as I spent two weeks in Middle East. 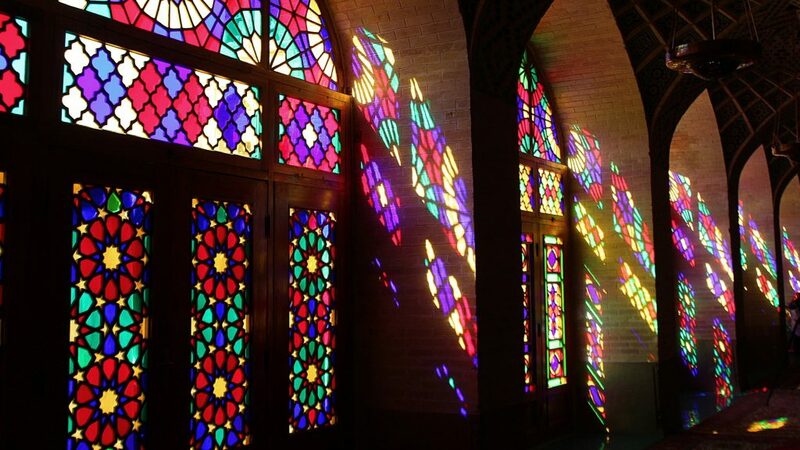 I mostly travel without tours, but I decided to make an exception with Iran. Although expensive, I didn’t regret my decision. The splendid tour felt like a much needed holiday from the responsibilities of solo travel – you know, responsibilities like thinking, planning and decision making. The people of Iran were extremely friendly, and our tour group was also awesome. All the members of our small group were experienced travelers, so it was interesting to ask people about their tips and experiences of different destinations. 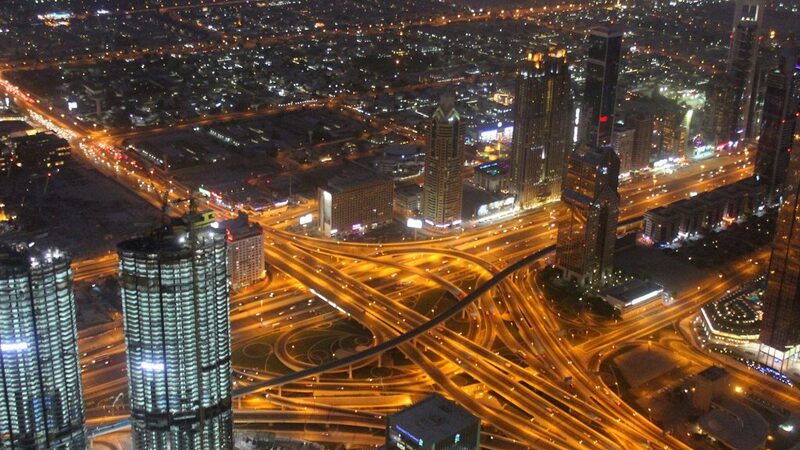 United Arab Emirates was my first bigger break from “active” traveling: a country where I did very little sightseeing and a lot more blogging and travel arranging. Dubai and Abu Dhabi were interesting destinations, as they were so different from all my other stops, but it was difficult to explore the places as a backpacker in July. Taxis were expensive, and the extreme heat and humidity made walking outdoors very uncomfortable. This is where the real adventure began. Traveling in Europe and Middle East was fairly easy and organized, so the Indian subcontinent offered a very different experience. After a while, I got quite used to the constant noise and disorganized ruckus. 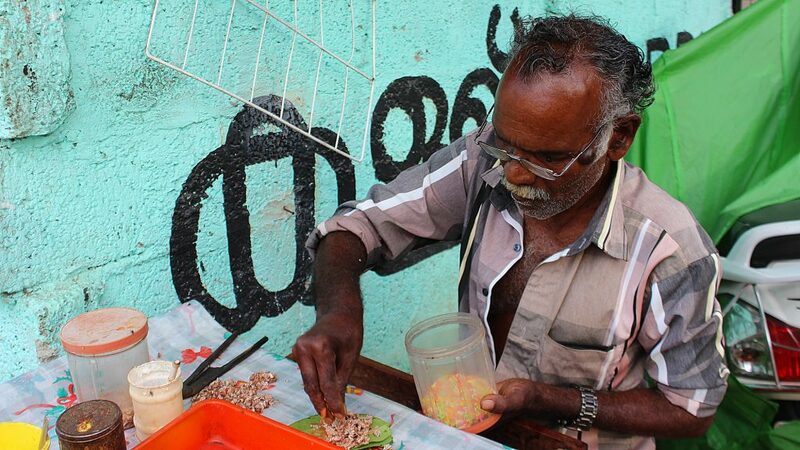 A vendor making paan (chewable tobacco) in Kerala, India. One word to summarize my stay in India? Intense. I started from the south of the country, traveling overland from the state of Kerala all the way up to Nepal. Traveling all through India in less than six weeks was a lot to take in. I definitely experienced a lot in India. I feel like I had some of my best and worst travel experiences in the same country, and sometimes these polar opposites happened all during the same day. If I’d go to India again, I’d travel much more slowly, because India can exhaust you quite quickly. Nepal has a special place in my heart. I had been to the country twice before, and I want to keep it as a destination where I delve deeper into the culture on each visit. This time, I took private lessons in the Nepali language for three weeks and visited some places I had not previously seen. Still, one of the clear highlights was meeting my old local friends. I even visited their home villages in the countryside for the first time. My second lazy “pit stop country” where I only planned to focus on blogging. 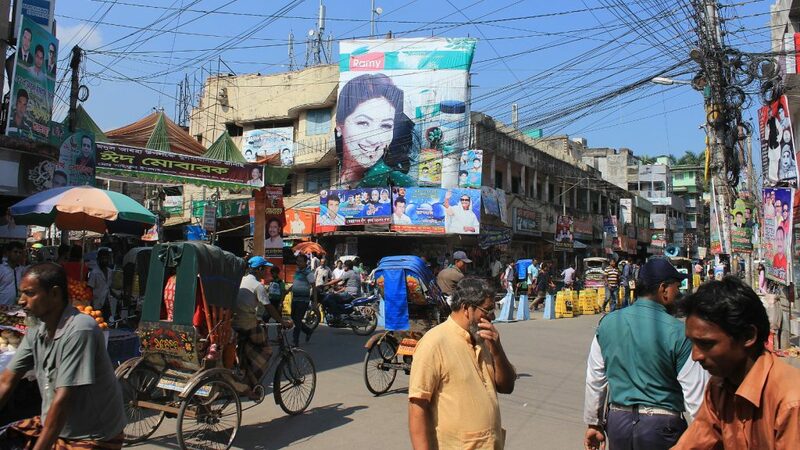 Luckily, my plan didn’t work out completely, as my enthusiastic CouchSurfing host Khaled showed me around Dhaka and neighbouring villages. I’m really glad he did it, because otherwise I would have experienced much less of Bangladesh. If you’ve been following my blog for a longer time (or if you just know me from real life), you might have noticed that I’m not very good at narrowing down my choices. I often try to fit in too many things on a tight schedule. This was the case with continental Southeast Asia. 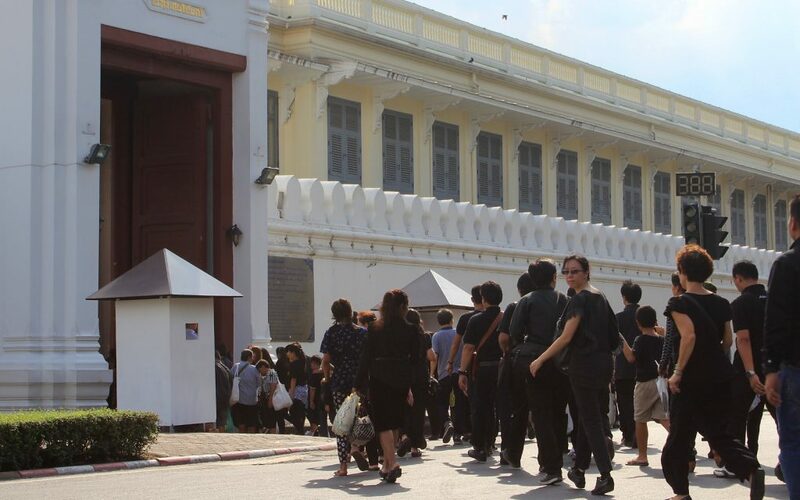 Mourners of the late king march to the Grand Palace in Bangkok, Thailand. Ah, Bangkok! After over three months in the Indian subcontinent, I was delighted to find supermarkets, subways, Subways and other signs of “European luxury” in Bangkok. My stay in the island of Koh Samet was also quite relaxing, and I didn’t mind being in a touristy place after a long break. Mandalay, Bagan, Inle Lake. I spent ten days in Myanmar, visiting some of the more touristy places in the slowly opening country. 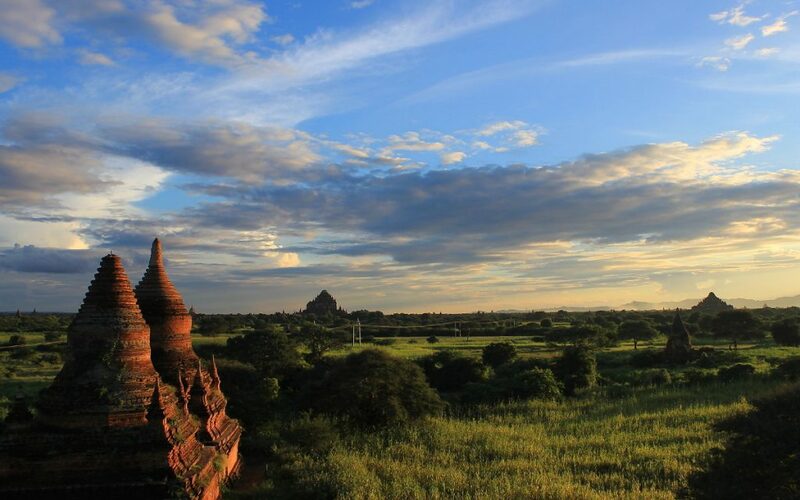 I liked the atmosphere and distinct culture of Myanmar, but I also felt like I didn’t get as much out of it as I wanted. Had I stayed longer and spent more time in smaller towns, my experience would have been quite different. 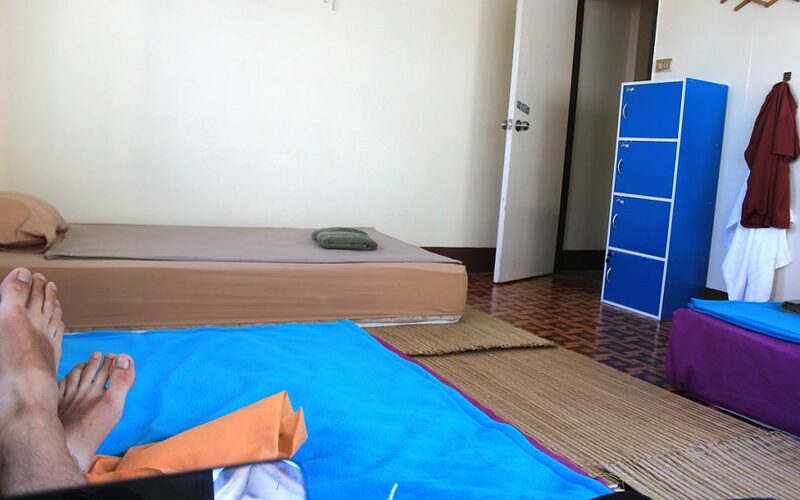 Lazy hostel life In Chiang Rai, Thailand. I didn’t write any blog posts from my journey through northern Thailand. I spent a lot of time in Chiang Rai, just working on the blog and making travel arrangements. Still, I had a few memorable encounters. One such encounter happened with an American backpacker who shared a hostel dorm with me. We spent a lot of time together in two days. However, we never introduced ourselves, so I never found out his name. But he was a nice guy, whoever he is! 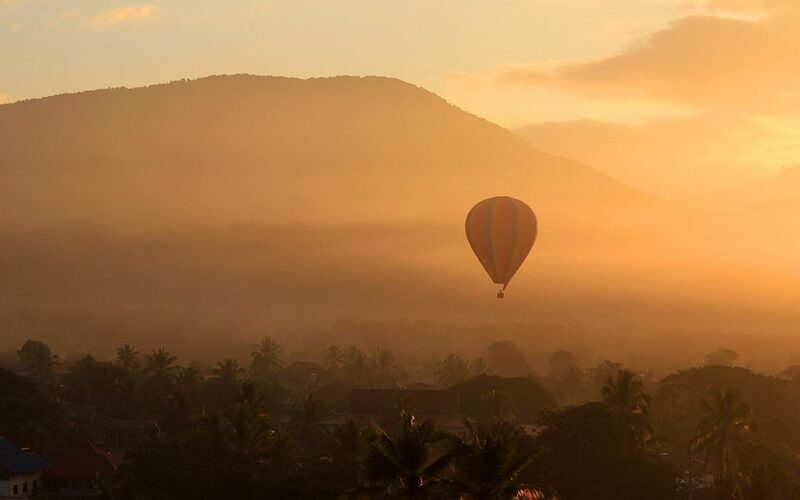 Hot air ballooning during the sunrise. Oh yes, the backpacker trail. Most travelers pass through the same cities as they make their way through Laos, which led to some hilarious reunions. For example, I met German brothers Jule and Max in three different cities by coincidence – we were on a fourth city at the same time as well, but there we managed to miss each other. 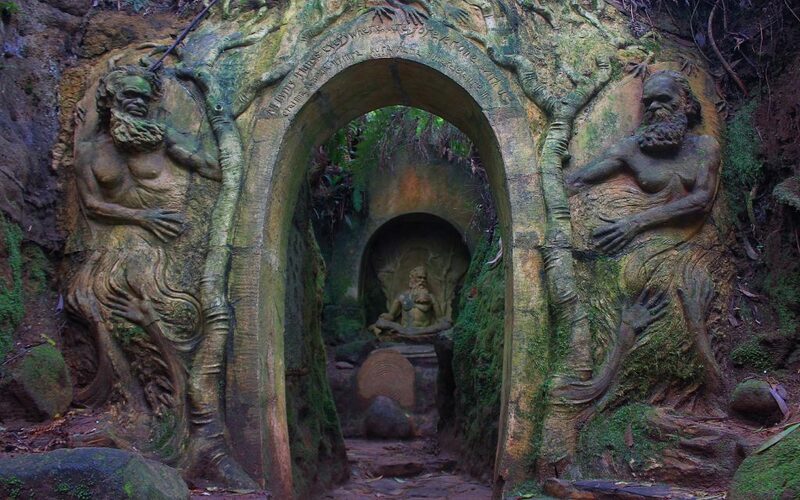 The caves near Vang Vieng and the relaxed atmosphere of Don Det were my favourites. Is Angkor Wat Worth It? A short stay made memorable by wonderful travel companions. 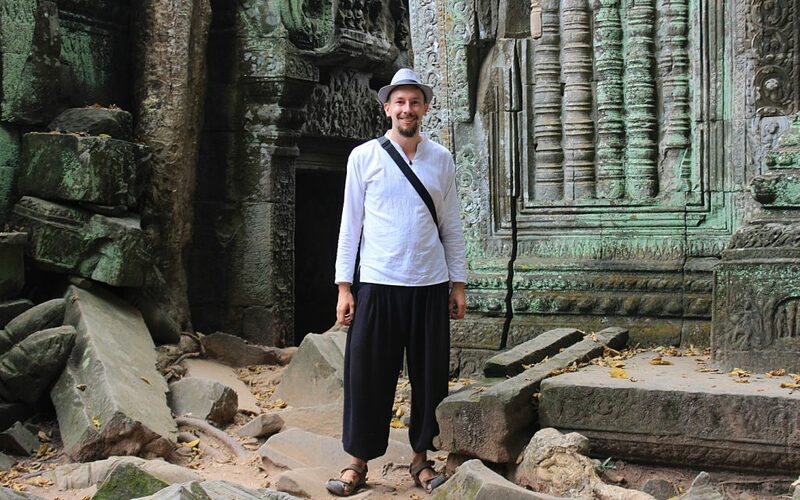 I shared a bus from Laos to Cambodia with Anki, Maria and Floris, and we decided to spend time in Siem Reap together. Later, we were also joined by Sirja whom I knew from a Finnish travel discussion board. 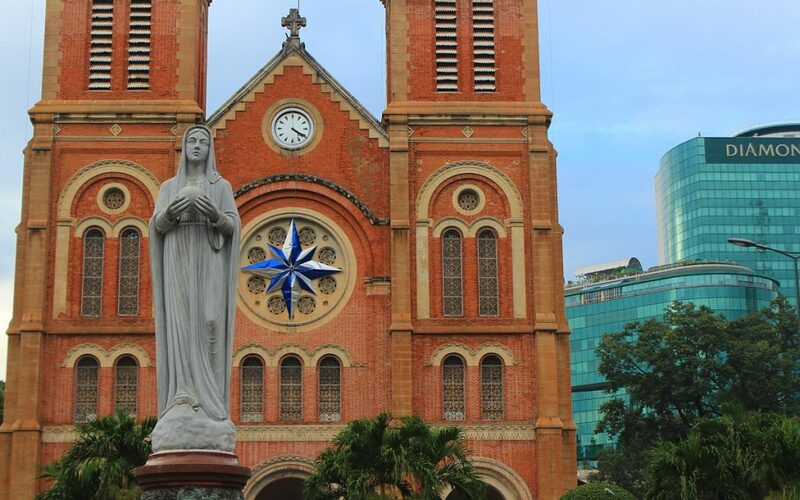 I didn’t have much time in Vietnam, so I stayed in Ho Chi Minh City and explored the local sights. The city was a bit too crowded for my liking, but at least my WiFi at the backpacker district was fast enough. I could chat with my grandparents, parents and brothers via Skype on Christmas. 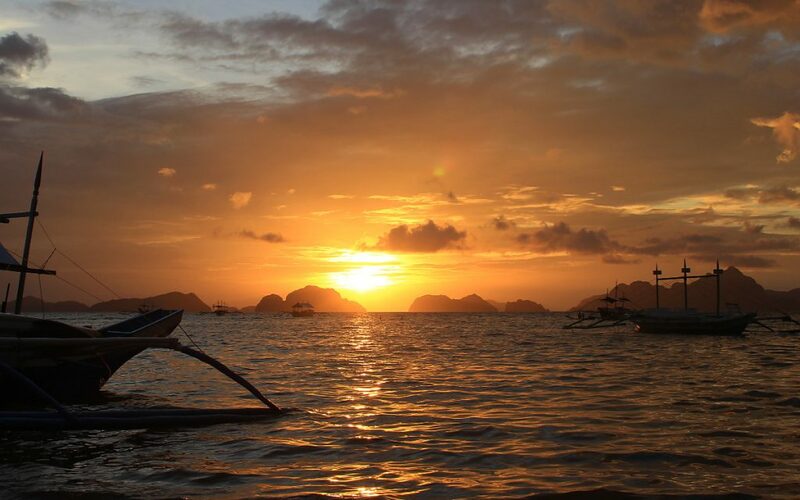 My current view in Palawan, Philippines. I'm taking a break from blogging for a few weeks now, so I can focus on writing a novel manuscript. I'll start posting again in February or March! 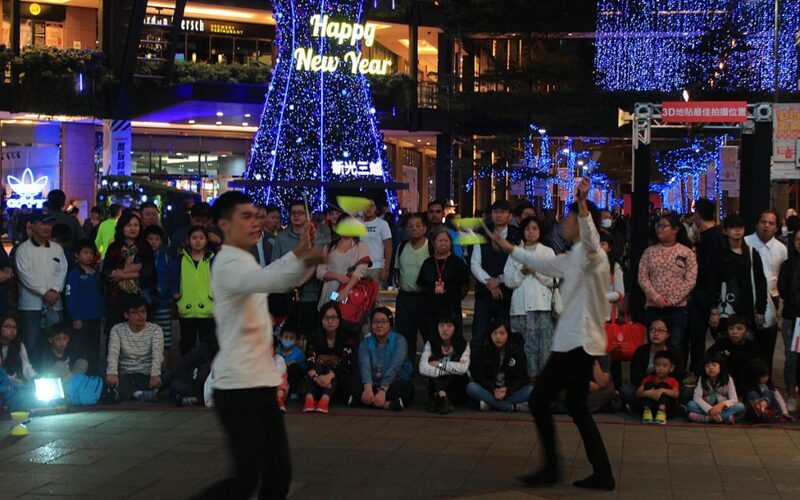 I had traveled through mainland Southeast Asia rather quickly, as I had promised to meet my friends in Taiwan around New Year. Spring offered me a chance to slow down a bit. And that’s exactly what I did. Okay, Taiwan is definitely not a part of Southeast Asia, but don’t pay any attention to that. Taiwan was one of the highlights of my trip so far. Besides some nice hiking in Taroko National Park and hanging out with Finnish Janina and Helinä, I enjoyed my time in the capital Taipei. I also had a happy reunion with my Canadian traveller friend Nick, who invited us to a New Year party of his friend’s start-up company. What Did I Do in the Philippines? I took a break from blogging in the Philippines to focus on other projects. 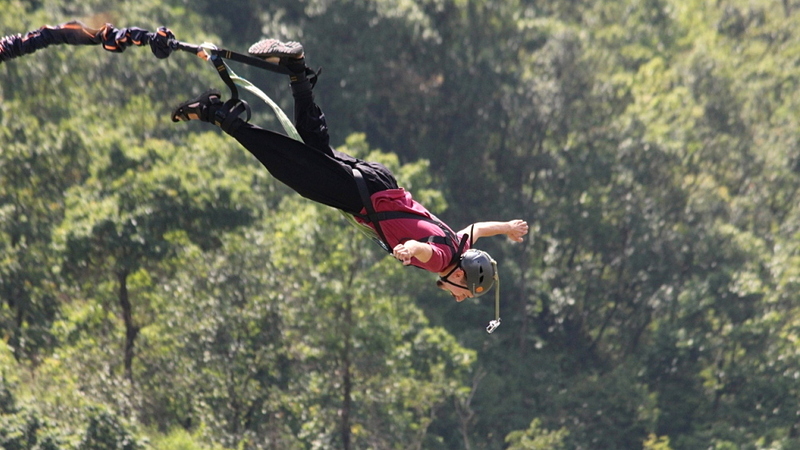 I did’t get as much work done as I planned, but I enjoyed local activities. I tried snorkeling for the first time in my life, went island hopping and chilled out at the beautiful beaches. I would have stayed longer, but I had already booked my obligatory return ticket before arriving. 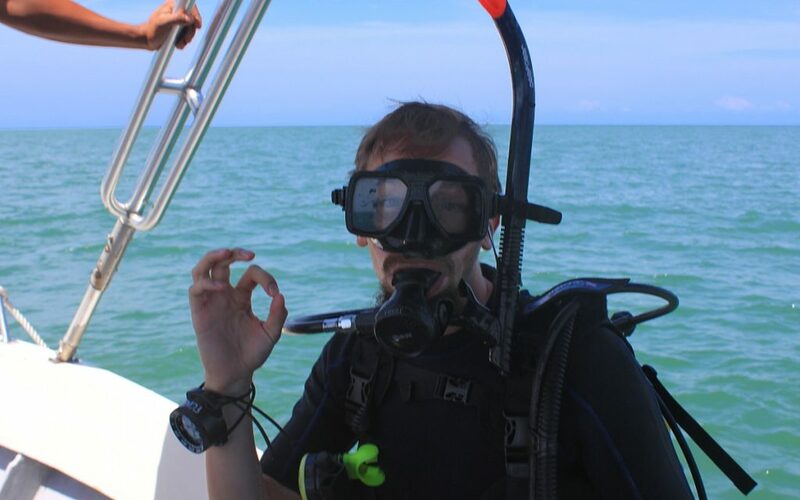 Overcoming my fears: scuba diving in Brunei Darussalam. Brunei was an interesting stop. Two parts Southeast Asia, one part Middle East. with a strong Islamic culture and rich oil supplies to support the nation. Brunei was more expensive than my other destinations in Southeast Asia, but I did a day trip at a national park, explored the capital Bandar Seri Begawan and took a 4-day scuba dving course. 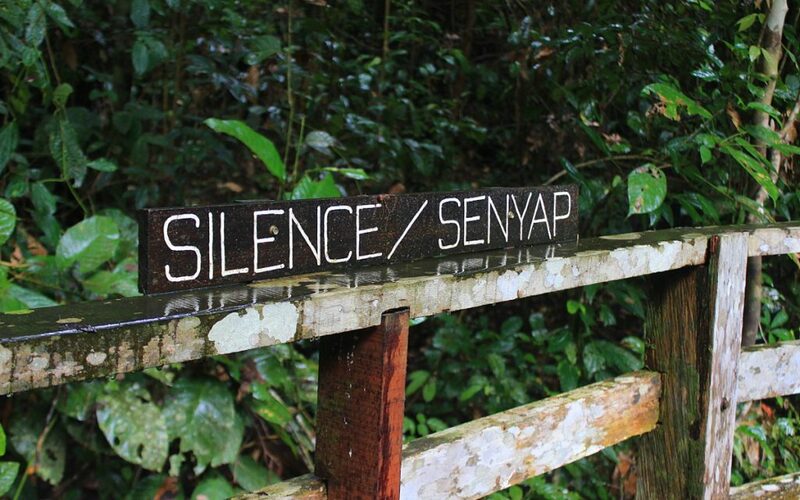 The blog was silent, and here’s a picture of a sign that says silence. Clever, eh? My only post on Malaysian Borneo was a guide on how to leave the place, but don’t let that fool you. I really liked the state of Sabah. In fact, I liked it so much that I spent little time blogging. I just loved the nature of Borneo. I was particularly impressed by the orangutans I saw at a rehabilitation center. It was amazing to see these hominids that were more skillful than humans in their own way. Indonesia is my new favourite travel destination in the world. Once again, I spent more time experiencing things than writing about them. I tried surfing, took a massage course and spent 10 days on a silent meditation retreat. More importantly, I had the chance to share my adventures and meet lovely people like Allian, Anna and Jess. If my visa had not run out and if I had not promised to meet my friend Kimmo in Australia, I’d probably still be exploring the islands of Indonesia. And here we are! Winter is coming to the Southern Hemisphere and the prices are multiple times as high as in Southeast Asia. Otherwise, I have no reasons to complain. The third continent of my trip around the world. 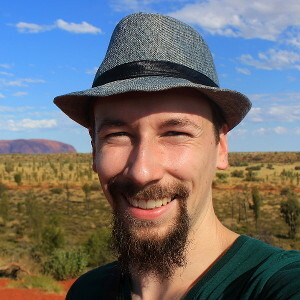 Originally, I didn’t plan to stay in Australia for very long. However, I’ve been here for almost a month, and I still don’t know when I’m moving on, so the plan seems to have changed. I like the nature and wildlife of Australia, and I’ve had some delightful reunions and meetings around here. I’ve also switched to microwave meals, as the restaurants here are over my budget. 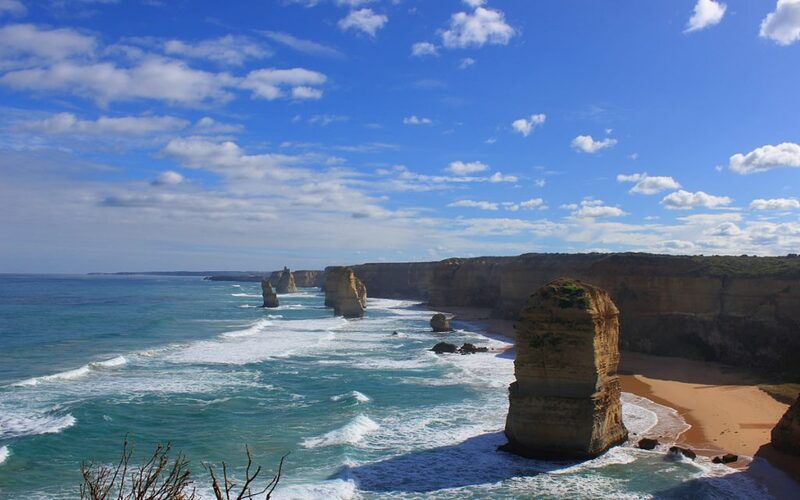 I’ll soon write a blog post about the Great Ocean Road in Australia. What’s In For the Future? 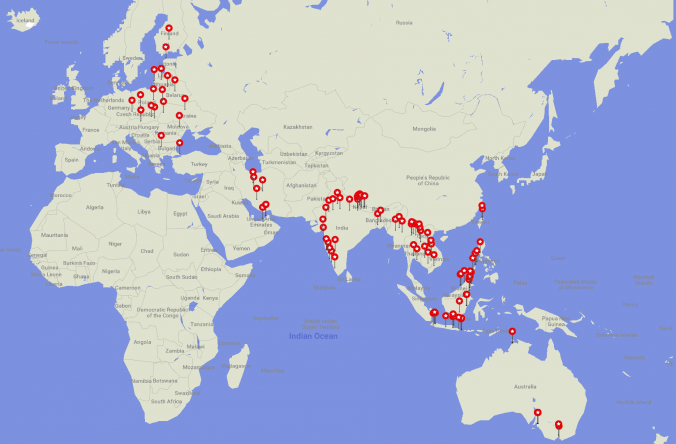 When I started this trip around the world, I planned to visit all the continents in 2-3 years. Now, the plan has become a bit more clear – and simple. Most significantly, I’ve dropped Antarctica from the itinerary. It’s too expensive, and I’d need to rush to South America to reach the seventh continent. During these 365 days on the road, I’ve started to realize the limitations of my time and budget. I have also decided to finish my journey in summer 2018. So it’s one year down, one to go. My way of travel has changed, and that’s affecting my plans. I’ve slowed down my pace. When I started planning my trip, I wanted to travel through all the continents, visiting tons of countries. Later, I’ve come to think that just passing through destinations wouldn’t do them justice. I’m dropping countries off the list, intending to spend more time in fewer destinations. So, what will happen in the future? I’ve booked a cargo ship voyage from New Zealand to USA for July, so I’ll definitely visit those two countries. I’ve also bought a concert ticket for Los Angeles in late August, so I’ll have at least a month to spend in the States. After that, I still plan to visit South America and Africa before returning to Europe in spring 2018. However, the more I travel, the less plans I seem to have. I still don’t know my next country, and I don’t want to think too far. I’ve got no clue about my exact route for the second year, and I don’t mind. I’ll see where I’ll be when I get there. Today is the 365th day of my trip around the world. Thank you everyone who's been a part of this journey! Whether I've met you on the road or you're just following my blog, your presence and support mean a lot for me. What a phenomenal life experience to have! I imagine you have sooo many wonderful stories! I am showing my husband your part about going to Pripyat and Chernobyl, he has always been fascinated and wanted to go there too! Thank you! 🙂 I think the highlights of the trip are not the things I’ve done, but all the great people I’ve met. Chernobyl was very interesting, I hope you and your husband get a chance to go there! WOW! Congrats on an amazing year! What an incredible journey you have had! Sorry to see Canada isn’t on your list, make sure to hop on up north if time permits! Safe travels! That’s quite an epic post! Sounds like you are having a great time. Great to see you got to Australia too ! Thank you! 🙂 Australia has been amazing, I reallyl ike it here! What an awesome adventure you are having! It must have been great pulling everything together for this post and revisiting the past year! I hope you enjoy Year 2 as much as Year 1! Thank you! 🙂 It was quite interesting to recap the whole journey, it’s hard to realize so much has happened in just one year! Wow, what a trip, and so much more to see and do! Love the photos – and so cool that you went to Chernobyl and Pripyat – I’ve always wanted to go! Safe travels. Wow what an incredible journey you have had already, and to think that you are only halfway through your initial plan! You have been to some really incredible destinations, many places which are more off the beaten track and not your typical tourist destinations. I like that. What an eye opening year you have had. I’m glad you’ve got NZ on your sights next (no, not not bias as a Kiwi whatsoever…ha ha). You should try and go to the Pacific Islands like Fiji, Niue, Tonga etc first before NZ (although to get to Niue you have to fly in and out of NZ). Good luck! Thank you Juliette! 🙂 I’ve now booked a flight from Sydney to Fiji at the end of May, and I plan to visit Tonga as well before heading to NZ. Unfortunately I won’t have much time to explore NZ now, but I plan to get back there in a few years! Moldova is on my list too, 11,000 visitors isn’t much really. But then I’m up for an adventure and can’t wait to go there. Thank you! 🙂 If you’re up for an adventure, Moldova is definitely a good place to go to in Europe 😀 Have you thought about going to the autonomous region of Transnistria, too? I haven’t been there, but that’s definitely one of the least visited places in Europe! Good grief! What an adventurer! Loved reading your account of the past year, amazing travels there. Good for you picking more obscure countries such as Slovakia and Belarus instead of the more touristy areas such as Spain and France. Safe travels and keep it up! Great! i feel like traveling when i read this 365 trip. Hope this can be real for me too. Good for you picking more obscure countries such as Slovakia and Belarus instead of the more touristy areas such as Spain and France. Safe travels and keep it up!